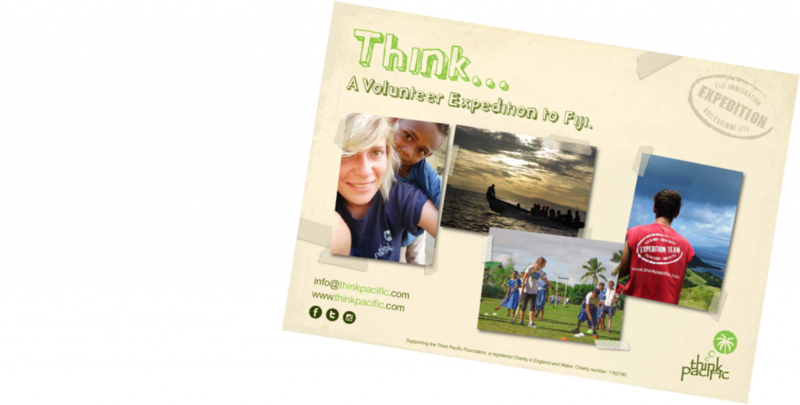 Want to Coach Netball in the Fiji Islands? By far the most popular female sport in Fiji, Netball is played with unfaltering enthusiasm in the rural villages. If you have a passion for netball, then this is your chance to pass your skills and experience to inspire and develop the skills of young girls in the community. We will look to you to lead daily netball practices in local primary schools as part of our afternoon sports sessions and coach netball as part of our village youth clubs. You will lead structured training and skills practices and organise games and regional tournaments. 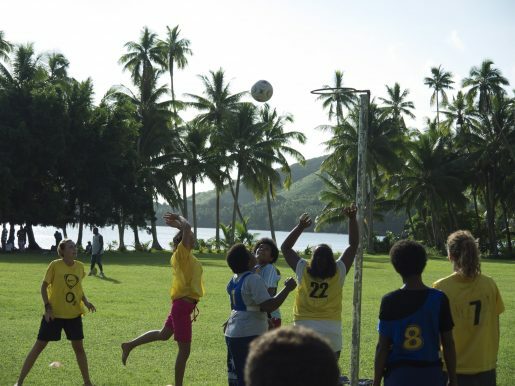 If you love playing, then there are lots of opportunities to play some Fijian village netball matches too. 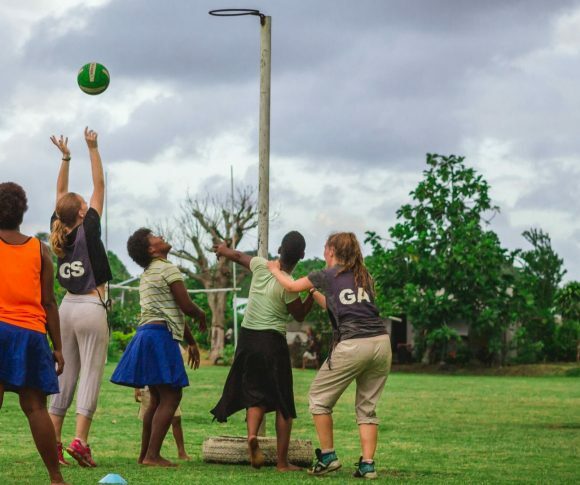 Could You be a Netball Coach in Fiji? Watch our video and see how you could make a difference through netball and what our volunteers thought of playing and coaching in Fiji. Coach daily sessions for children in poor and rural schools as we teach basic drills and introduce new ideas. We coach boys and girls in the schools, with netball featuring as a central sport for our daily PE lessons. Netball is also a big focus of the National Sports Commission to maintain and grow at grass roots level in the villages. Organise inter school fixtures and coach children’s teams to tournaments. We also train teachers in basic netball skills so they can continue the initiatives long after we depart. Through our charity we’re increasing uptake of netball in rural areas and using netball as a tool to inspire and encourage female participation in both sport and wider education. Experience the Fijian flair and the carnival atmosphere as you train and play with the Fijian village netball teams. 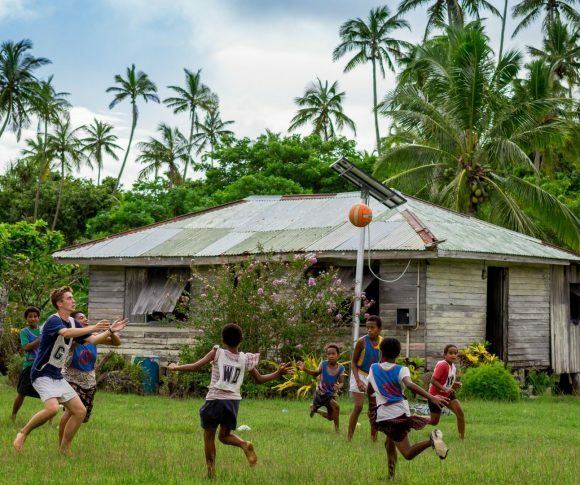 Every village in Fiji has passionate netball players and it’s a wonderful opportunity to bond with the local community as you play in local fixtures. Many afternoons in the village finish with an impromptu netball match as the Fijians play in the jungle or by the beach. Had the most amazing time in Fiji, what a way to have my first trip abroad!! I’ll never forget this paradise or its people, Fiji is now my home away from home and I can’t wait till the day I come back to see my Fijian family. Netball provides young Fijian women with a real chance to express themselves, instill a sense of empowerment and achievement. From coaching beginners to assisting the more established teams to improve their play, what ever your own level of netball experience, you will be able to play a key role in the development of netball in the Fiji Islands. The young Fijian girls really look up to our volunteers and genuinely value your time, effort and commitment. We’re seeing a huge increase in netball uptake in rural areas as our volunteers are coaching thousands of children each year. Working with the Fijian Ministry of Sport and local charities, we’re supporting programmes to use netball as a tool to increase confidence and aspiration of Fijian girls and encourage young women to think about their health, fitness and future opportunities of education and development. What Could You Experience Through Netball? You’ll see children make great progress with their skills and knowledge in a short space of time as they feed off your experience. 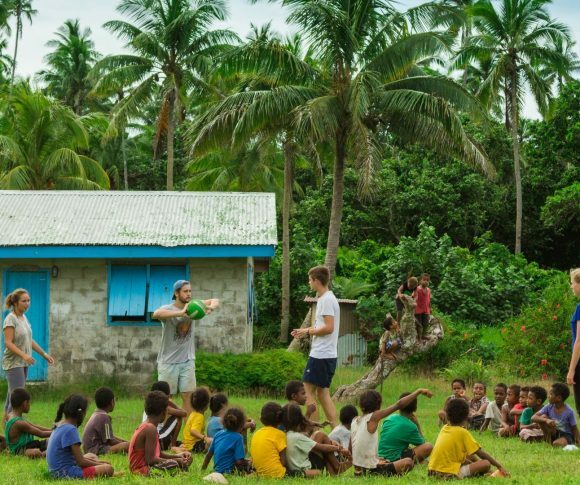 Guide your team to glory in a local tournament and you’ll be a legend in remote Fijian schools! We donate Netball resources to thousands of children and provide teacher training to ensure the sustainability of Netball coaching in the remote areas lasts long beyond your impact. The enthusiasm and dedication of the kids will leave you astounded. By playing with the women’s teams you’ll form a close bond with local villagers. You’ll also play and coach amidst stunning scenery, jungle rainforests, traditional villages and beside the glorious Pacific Ocean. You’ll forever look back on your days spent playing and coaching in Fiji as remarkable. 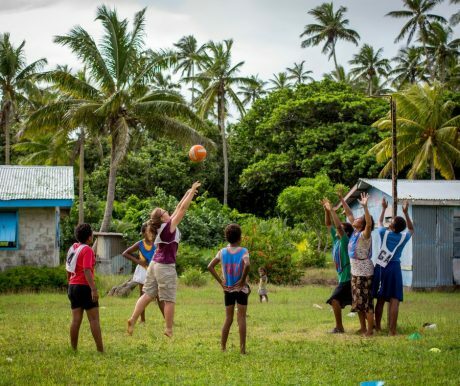 Does Coaching Netball in Rural Fiji Sound Like the Perfect Project for You?